Stylish Curves is a New York City based fashion and lifestyle blog that bridges the gap between straight and plus sizes by showing plus size curvy women that they can dress just a fabulous as straight size women do. The blog aims to give the curvy plus size woman a different perspective on fashion by showing them how to shop within and outside the plus size realm to get celebrity looks and to create their own personal style. We live in a world that wants plus size women to be unhappy with their bodies and Stylish Curves believes that every woman should learn to appreciate and love their bodies no matter their size. 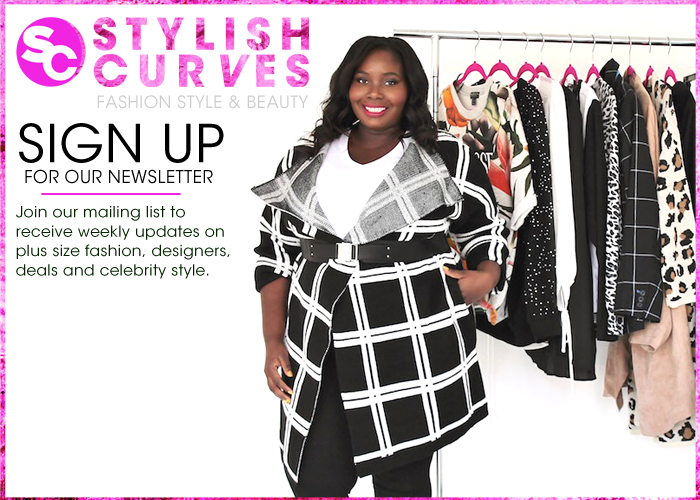 We deliver the hottest on trend fashion, curvy celebrity news, and shed light on new and upcoming plus size talent in the entertainment industry. Alissa Wilson is a native of Brooklyn, NY. She holds a Bachelors of Science degree in Communications with a minor in Journalism from Nyack College. Alissa always dreamed of a career as a fashion writer and after a rough start breaking into the fashion industry, she decided to take the route of becoming a fashion blogger. As a plus size woman, Alissa knows how hard it is for women over a size 14 to find stylish fashionable clothing. She started Stylish Curves to serve as a shopping resource for plus size women to find out where to get the latest trends and celebrity styles in their size. Alissa brings eight years of retail experience and seven years of working in finance to the blogging industry. Alissa likes to say that, she’s happy with her body, its other people who are not. This is why it’s so important for her to let young women know that their plush curvy bodies are beautiful and to not succumb to the negativity that the world wants them to have towards their bodies. Alissa has been editor & Chief of Stylish Curves for three years and she has worked with some of the who’s who in the plus size fashion industry. She’s interviewed designers from Christian Siriano to Farah Angsana and celebrity stylists like Lori Goldstein. She’s also worked with plus size brands Fashion to Figure, One Stop Plus, Lane Bryant, and Just My Size just to name a few. In addition to working with some of the who’s who of the fashion industry, Alissa has been featured in national magazines such as Essence magazine and on websites such as Glamour.com and has been part of brand campaigns for large well-known brands like JCPenney. Alissa continues to use her talents on her blog Stylish Curves to help women become more confident and secure with their bodies.